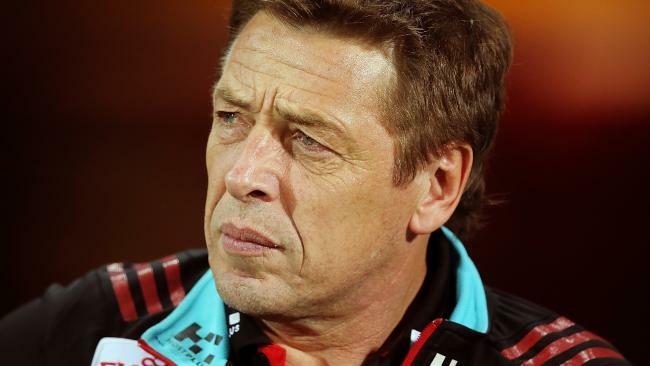 ALLEGED drug trafficker Mark Thompson sent a despairing email to former Bombers chairman David Evans declaring former coach James Hird was going to "die" fighting the Essendon drugs scandal. The 2017 email, sent just days after Hird was hospitalised following a drug overdose, has been leaked to The Herald Sun. It comes as Thompson prepares to face court on May 25 to respond to seven drug-related charges, including two counts of trafficking ecstasy and trafficking methamphetamine, following a police raid on his Port Melbourne property in January. 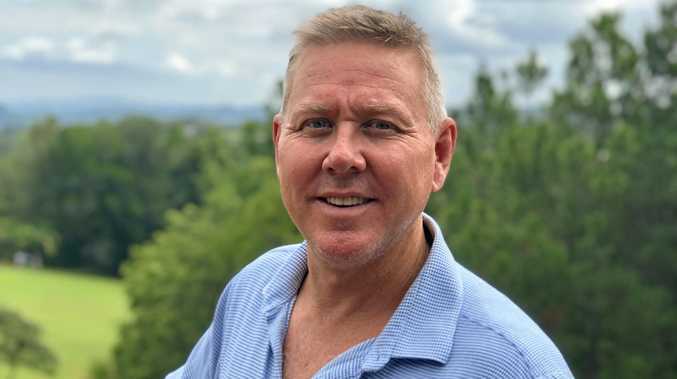 Thompson has strongly denied the accusations through his legal representatives. Hird has previously hit out at the AFL and the Essendon Football Club, declaring last week that football officials did not support him and Thompson throughout the messy fallout to the infamous Essendon supplements saga. It resulted in 34 Bombers players being found guilty of doping, after a World Anti-Doping Agency appeal in the Court of Arbitration for Sport in 2016. The fallout also resulted in Hird losing his position as head coach and Thompson getting hit with a $30,000 fine by the AFL. Accusations of an organised doping system at Essendon during the 2012 season were fought by both men to the bitter end. In January 2017, Hird spent five weeks in a mental health facility after an overdose on sleeping pills. He told The Herald Sun he was in deep clinical depression at the time, declaring he was at "breaking point". Thompson's email - published by The Herald Sun on Saturday - shows the Bombers premiership captain and Geelong premiership-winning coach held Evans personally responsible for the club's lack of support to the coaching staff and players caught in the ASADA storm. Mark Thompson and James Hird at Essendon. The email shows a desperate Thompson pleading for someone to help him and Hird, as they were forced to swallow the punishments that ripped the club apart. "I think it's time you stepped up to be the man we thought you were," Thompson said to Evans, who stepped down from the Bombers board in 2013. "It's time to start fighting for the truth for all our sakes, and most importantly for the players' sake. They deserve to know everything we know about this fiasco. It's time we all stood up and right the wrong. "James will die if you continue to let the world bully him. Your former best friend will die fighting for the cause ... you need to save my life and that of James Hird, Danny Corcoran, Dr Bruce Reid and 34 current and past players. "You would save the game in many ways. It's been a cover-up from the start. And like Watergate, the cover-up is worse than the crime." He went on to call for Essendon and the AFL to fight for the club's staff members and the 34 players rocked by the court of arbitration's verdict. He said the injustice of the doping bans was "killing James Hird". "The AFL needs to stand up and take responsibility," Thompson's email argued. "They need to say sorry and they need to tell the players what they know. "They should fight for the 34 players who have been found guilty by the Court of Arbitration for Sport for a fair and correct verdict, or else sack WADA and ASADA because everybody believes it was a joke to suspend these players in these circumstances. "How can you honestly let all this happen knowing the AFL have deliberately created this situation and allowed players to be suspended as drug cheats? "That's what is killing James Hird and it sits really poorly with me." 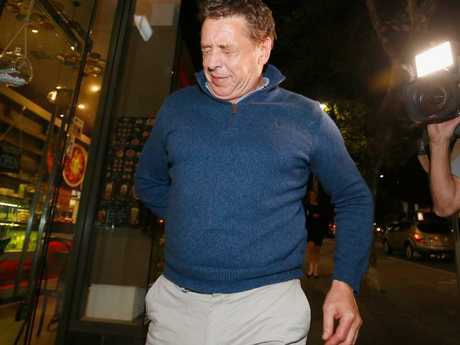 Mark "Bomber" Thompson leaves Melbourne Magistrates Court. Hird said last week that he met with Thompson a day after his former Essendon teammate and fellow coach was charged with drug offences. 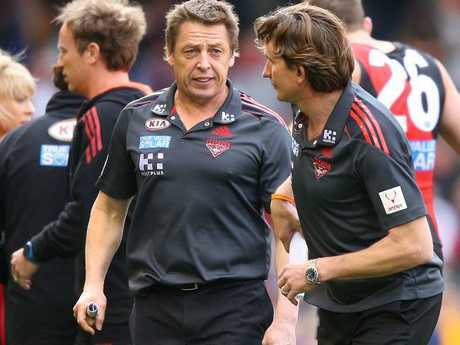 Thompson was caretaker coach in 2014 as Hird served his suspension. Hird returned, but quit the role towards the end of the 2015 season. 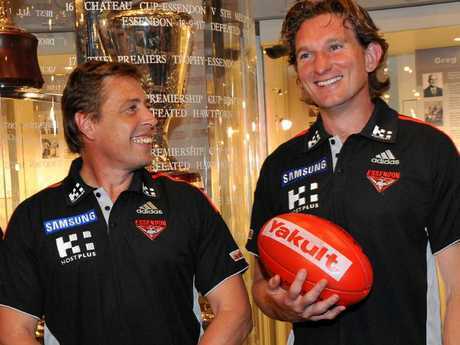 Thompson, a two-time premiership coach at Geelong, and Hird are Essendon premiership captains. They no longer have any direct involvement with the AFL. Speaking on the "Crawf and Hirdy" podcast, Hird said he, Thompson, football boss Danny Corcoran and club doctor Bruce Reid had received little support at the height of the scandal. "It was really us -- myself, 'Bomber' (Thompson), Danny Corcoran, Bruce Reid and some other staff. We weren't equipped to deal with it. "Hopefully, we got the players through, but Bomber and myself, we didn't get through, and I know Danny has had his (tough) times as well." Hird said Thompson was determined to work through his problems. "My issues have been well-documented and now he is going through something that, hopefully, he can get through and that it doesn't go any further. "We all thought he had a problem in that area, personally, but no one thought that it was anymore than that. Australian readers seeking support and information about depression can contact Lifeline on 131 114.